Ameriabank was named winner in the nomination “Best Exchange Member in Foreign Currency Market” and the newly-established nomination “Best Exchange Member in Repo/Swap Transactions” of NASDAQ OMX Armenia. Ameriabank was also named Best Account Operator-Custodian of Depository System in Foreign Securities Market. 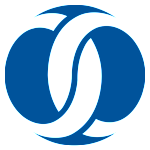 Global Finance named Ameriabank Bank of the Year in Armenia in 2015 based on the World’s Best Emerging Market Banks 2015 study. Fitch Ratings confirmed Ameriabank’s B+ Long-Term Issuer Default Rating with negative outlook, taking into account economic developments in the region. Bank of the Year in Armenia 2015 by the Banker Magazine of Financial Times. Ameriabank named the Best Bank in Armenia at Euromoney Awards for Excellence 2014. Global Finance magazine in 2014 named Ameriabank “The Best Bank of the Year”, “The Best Trade Finance Bank of the Year” and “The Best Foreign Exchange Provider Bank of the Year”. International Corporate Intl Magazine 2014 Global Awards named Ameriabank the Best Bank in Armenia by factoring transactions based on FY 2013 results. Коммерцбанк присудил Америабанку награду STP Excellence Award за безупречное выполнение международных операций в 2013г. Европейский банк реконструкции и развития (ЕБРР) присудил Америабанку награду «Сделка года 2013». Сделка года – эта сделка, заключенная между Америабанком и Коммерцбанком, гарантом которой выступил ЕБРР. Ameriabank named The Best Bank of the Year 2013 in Armenia by The Banker Magazine. Ameriabank wins the Best GTFP Issuing Bank for Energy Efficiency IFC award. Ameriabank wins EBRD award in "Most Active Issuing Bank 2012" nomination. For the first time an Armenian bank, Ameriabank, given a confirming bank status by EBRD. Известный международный журнал Global Finance присудил Америабанку награды «Лучший банк года», «Лучший банк-субдепозитарий года», «Лучший банк года по торговому финансированию», «Банк, обеспечивающий лучшие валютные условия». In honor of the bank’s excellent cooperation in trade finance Ameriabank received the “Trade Finance Award 2013” from Commerzbank. Ameriabank wins the Best Trade Financing Partner Award from Commerzbank. Ameriabank awarded the STP Award 2012 by Commerzbank for excellent 99% results in performance of international transfers. 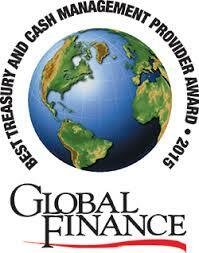 Ameriabank wins “Тhe Best GTFP Issuing Bank” award by IFC. Ameriabank named the Best Bank in Armenia at Euromoney Awards for Excellence 2012. Global Finance magazine named Ameriabank “The Best Bank of the Year”, “The Best Trade Finance Bank of the Year” and “The Best Foreign Exchange Provider Bank of the Year”. Ameriabank named the Best Bank in Armenia at Euromoney Awards for Excellence 2011. Ameriabank wins IFC’s “GTFP Award 2011” as the most active issuing bank in Caucasus. Ameriabank awarded the STP Award 2011 by Commerzbank for excellent 99.85% results in performance of international transfers. Ameriabank wins IFC's GTFP Award 2010 as the best partner in South Caucasus. In honor of the bank’s excellent cooperation in trade finance Ameriabank received the Trade Finance Award from Commerzbank. Commerzbank grants Excellence for Quality award to Ameriabank for high performance in international transactions. Ameriabank wins the “Bank of the Year 2010” award by The Banker, a publication of Financial Times. Ameriabank Wins Commerzbank’s “Excellence for Quality” Award.